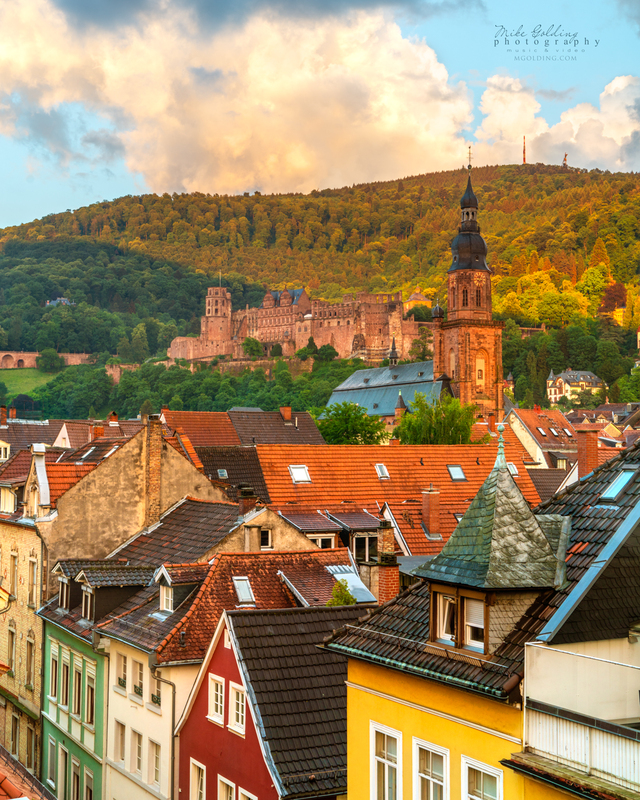 View over the roof tops of Heidelberg, Germany. An amazingly preserved town, not destroyed in the war and despite the huge numbers of tourists really has a charm about it. Also the best performing university in all of Germany is situated here so it really the Oxford or Cambridge of Germany.